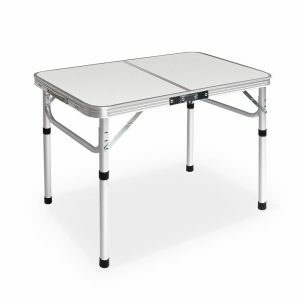 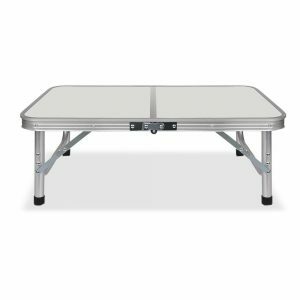 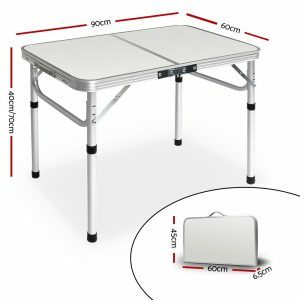 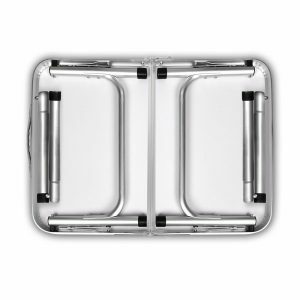 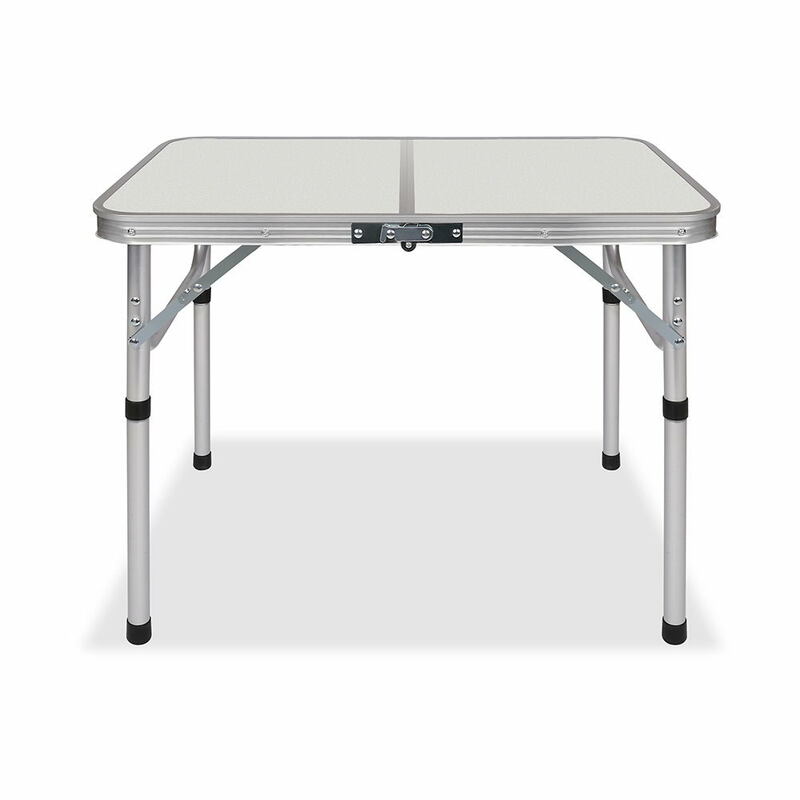 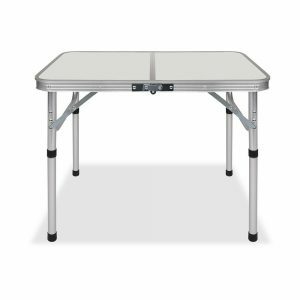 This foldable table is absolutely handy in kitchens, on patios, in gardens and on picnics or camping trips. 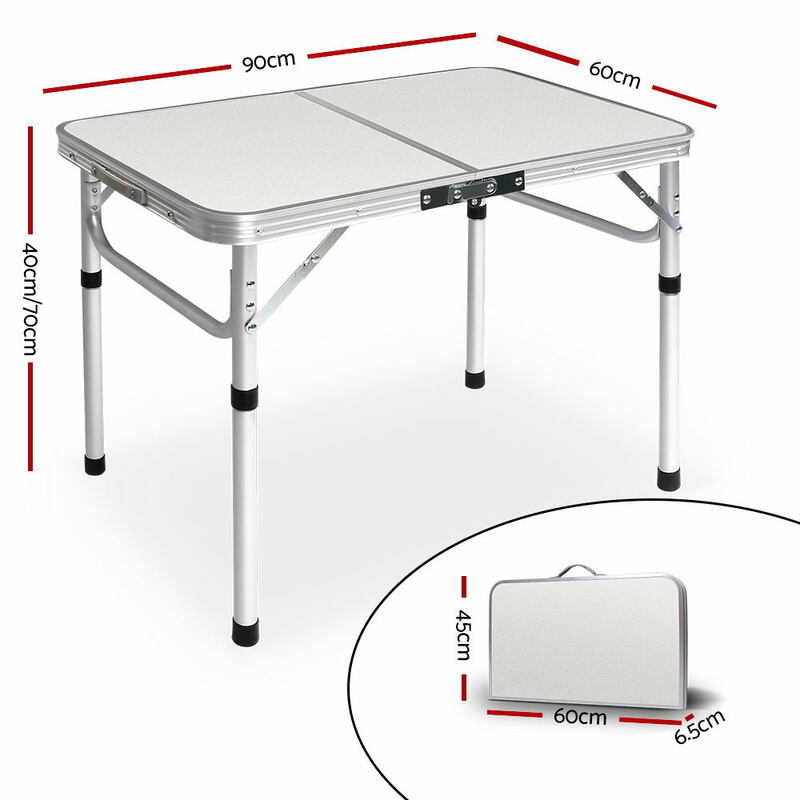 Made of strong aluminum throughout, the camping table can handle up to 30kg in weight with its rust-resistant MDF table top. 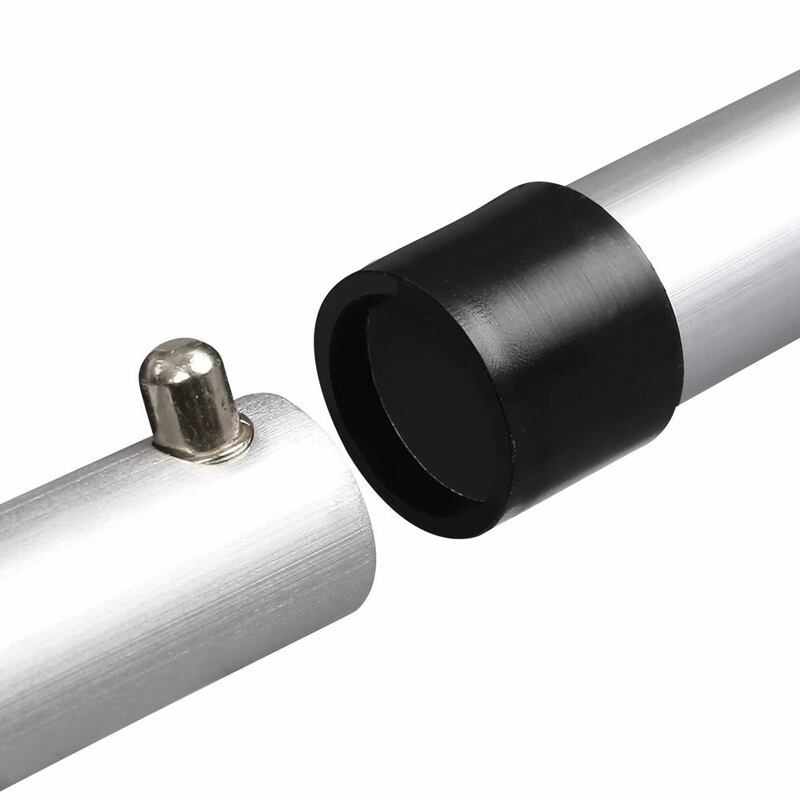 The table height can also be easily adjusted for high-leg use as a dining table or short-leg use when sitting on the floor or picnic on the grass. 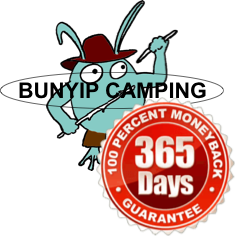 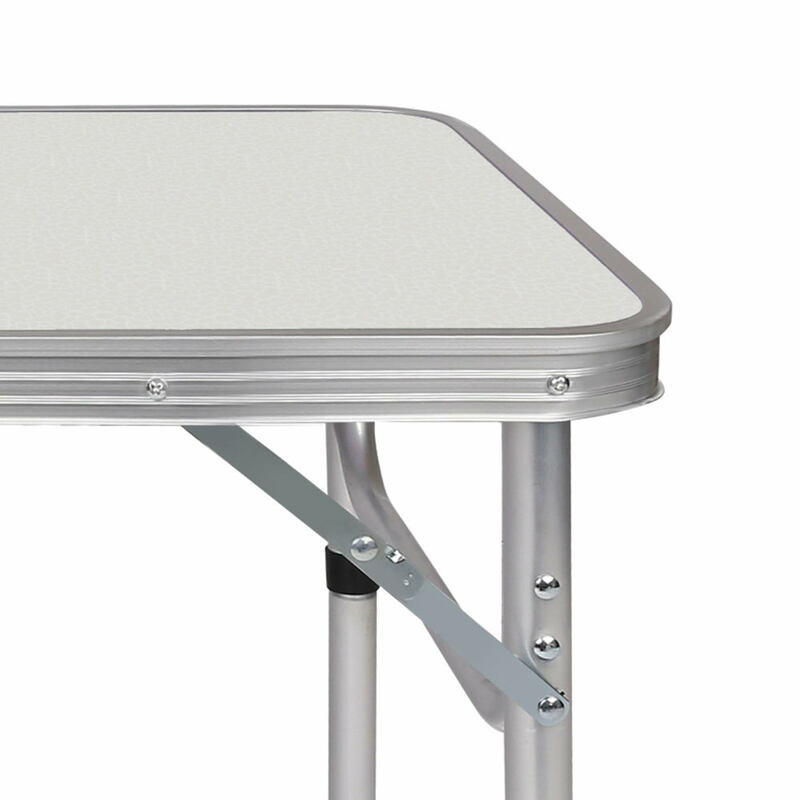 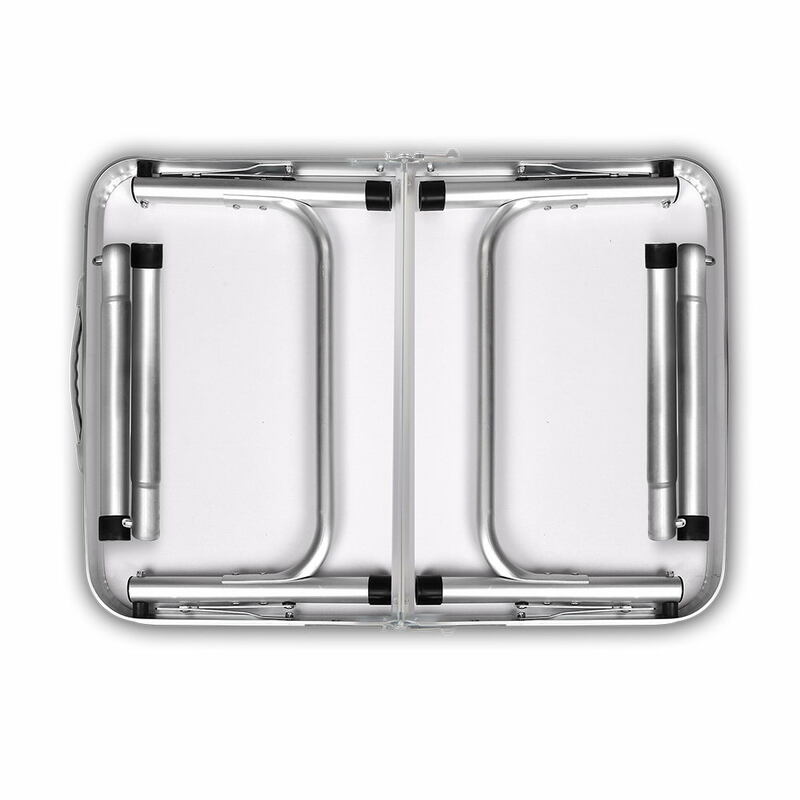 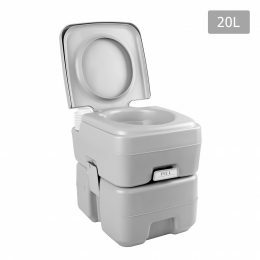 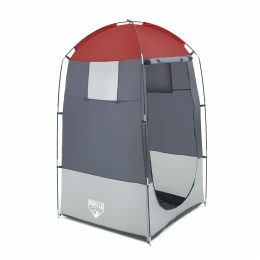 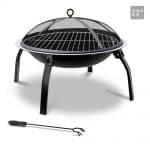 Not least, the rounded corners ensure the camping table is safe to use around kids and adults at all times.